Directs airflow around rider & passenger! Note: To offer all the windshield types, model years, heights and tints, we manufacture/fab most windshields per customer order so please allow 1-3 weeks processing time prior to shipment of your order. 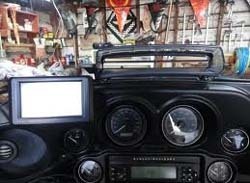 All windshields are custom orders and not returnable. Gloss Black in no longer available for these windshields. Shields 12" or taller are no longer available for the model year 2014 shields. 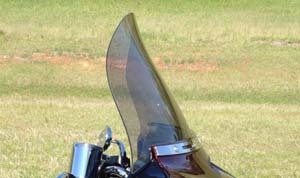 Extra Wide: Windshields with extra width to help direct airflow around the rider and passenger resulting in less buffeting. 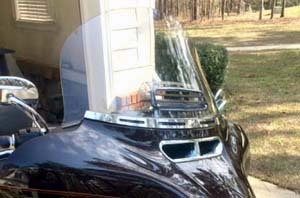 These shields also keep the airflow from mixing with the sounds from the speakers and keeps all of your tunes up front. The recurve option pushes the air flow 1 1/2" to 2" higher! Premium high impact acrylic blend materials exceeds DOT Standards. 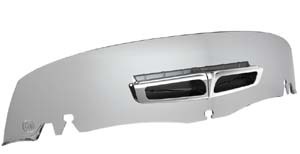 UV inhibitors extend shield life & provide protection for the dash and accessories. Material: 1/8" (.118) thick and more rigid and stronger than stock. 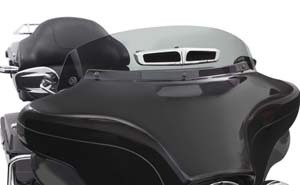 This slightly flared lip recurve is not as drastic as other flared lips, but is tested to be an improvement over stock for diverting air flow from the rider. Available in clear, smoke and dark grey. 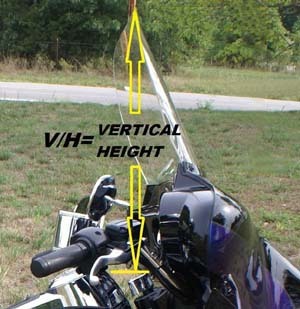 Measurement: For the WR-WIDE & WS-WIDE shields height is determined using a vertical height dimension starting at the top, inner portion of the ignition switch when in the off position, to the top of the windshield when installed onto the fairing. 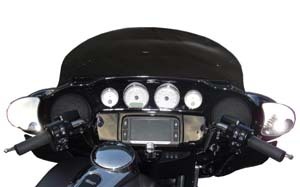 This shield shield is angled slightly closer to the rider than the stock width version, therefore the vertical measurement is the most accurate. H-D stock Electra Glide, Limited and Tri-Glide vertically measures 16.75", Harley Davidson stock Street Glide vertically measures 12.5". Our height options: 14 1/4",15 5/8", 17", 18", 19". WR-WIDE: Model years 2014 to current. WS-WIDE: Model years 1996 to 2013. 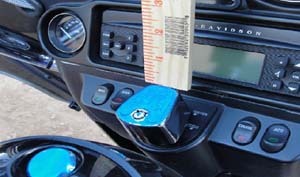 Note: Please be aware that the Vent Option will not work with windshield bags if they have been installed. 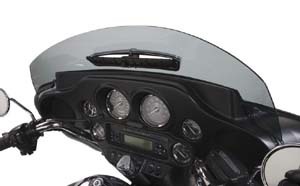 WCVT-6: Update your windshield to today's newest technology with the brand new Panoramic Vented Windshield. 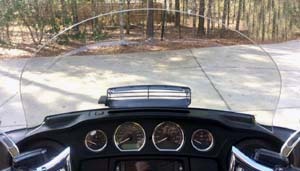 This new windshield brings venting, a curved upper lip, and extra width together to create a breakthrough in rider and passenger experience. 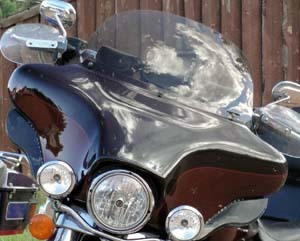 Measurement: Standard measurement from the top of the front fairing to the top of windshield.